The client is a leading Australian company which specializes in sales and merchandising in retail shops across Australia. They customize the services for the clients by understanding their products and helping them maximize the profits and ensure that the products are placed correctly, neat, and always in stock. The client was looking for a service provider who could help them with high-quality portrait restoration services. The client would scan and send us the photos and our team had to get rid of the scratches and dust from the old portraits. The client initially opted for a trial version of the project as they wanted to test out our services and resources. For the trial, we assigned one resource who would work on portrait restoration. Our resource would be working on restoring 5 frames and have 4 images in each of the frames. The client was completely satisfied and delighted by our trial project and chose to outsource the entire project to us. 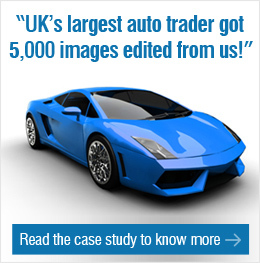 The client had about 10,000 images to be restored within a quick time. So, we assigned two resources for the project who would be delivering 400 images per week to the client. The client would be spending about 12 minutes on each image. The client sent us the images after scanning them. Our resources used a filter in Adobe Photoshop to remove the dust and scratches of the image. The output files were created in PSD format and transferred back to the client via Dropbox. The client was extremely delighted with the results provided by Outsource2india's image editing team. We provided them with cost-effective services which helped them save about 60% costs on the overall project. The client was not only satisfied by the quick turnaround time but also the quality of the images delivered by us. Outsource2india has been a pioneer in providing quality photo restoration services in India and a series of other image editing services to clients around the globe. Our team comprises some of the most talented and skilled image editors who can work on different image editing tools and technologies and cater to any of the clients' requirements. We leverage the best infrastructure and the latest photo restoration tools and technologies to deliver the best quality services within a quick time. 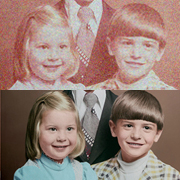 Are you looking for a cost-effective and high-quality photo restoration service provider? Then look no further. Get in touch with ustoday!